Wales (in Welsh Cymru) is a country located in the west of Great Britain. Welsh people belong to the Celtic nations. Probably the most famous wedding related Welsh traidition is giving of the "lovespoon" to the woman certain man wants to have relationship with. In the Welsh Folk Museum in Cardiff there is a lovespoon from 1667. 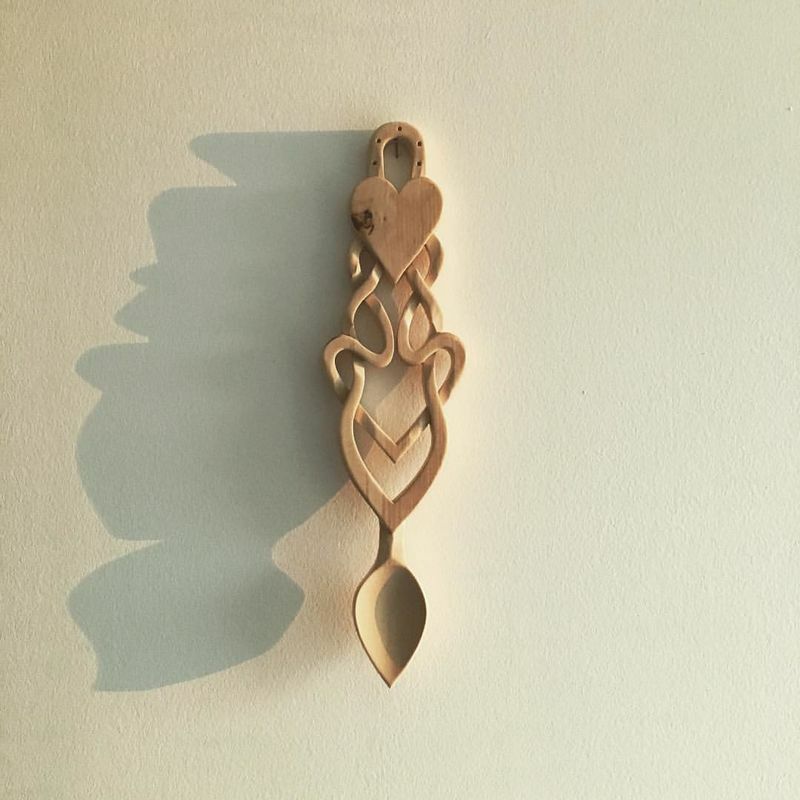 The lovespoons are made of wood and include various symbols. Apart from the heart as the most obvious one they also include a horseshoe, cross, bell, weel and lock. Today the lovespoon is a popular present and souvenir. In the past people were formally invited to the wedding by the Bidder ("Gwahoddwr"). All those invited were expected to give some money and that way help the couple in their life together. Nowadays people send written invitations. Some days are treated more favourable than others. The Welsh believe that it is great to get married on the last day of the year. A bride in Wales has a flower bouquet that must include myrtle. This plant symbolizes love. Traditionally a bride gives some myrtle to her bridesmaids. They should then plant it. The bridesmaid whose myrtle grows and blooms will get married in the near future. In the past people considered black clothes and yellow roses a bad omen for any wedding. On the other side plants like lavander, heather or ivy were treated as lucky ones. Brides have to listen very carefully when they wake up on their wedding day. Hearing a bird singing means a good luck. It is believed that a bride should never put a veil on herself. This should be done by some happily married woman. Not all the accidents are bad. A wedding dress being damaged is considered lucky. Some brides put a pin on her wedding dress. After wedding she throws the pin over her shoulder. This should bring good luck. The wedding day can not pass without "troubles". The bride's family members kidnap the bride. Off course a groom and his family starts a search. A single person who manages to find her will during the next one year period. A couple, their parents, siblings, cousins and other guests go to the church. A girl walks in front of them and throws flower pettles on the path towards the church. Such a path symbolizes the couple's happy future life together. 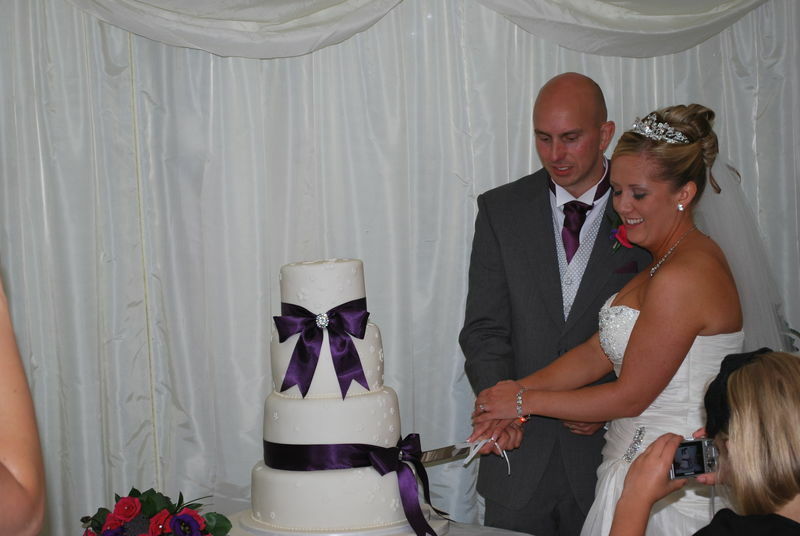 A wedding reception is an occassion where certain songs are sung. Two famous Welsh wedding songs are "Blackbird Will You Go" ("A Ei Di’r ‘Deryn Du ") and "All Through the Night" ("Ar hyd y Nos"). The first Sunday after the wedding was known as the "Neithior". The couple got visited by their friends.